Chinese researcher He Jiankui said he intervened on the genome of human embryos before artificial insemination to give birth to two children to the modified DNA. The scientific community has strongly condemned his work. 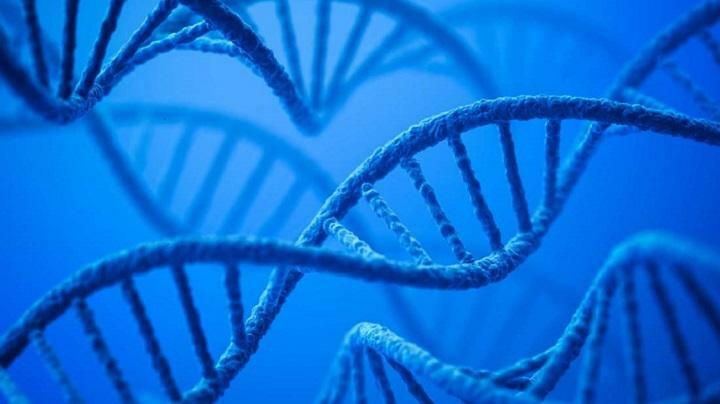 An investigation was opened in China and all experiments on the human genome were banned. Earlier this week, He Jiankui, a geneticist from Shenzhen University, travelled to Hong Kong for the ‘International Summit on Genomic Publishing’. Where he was due to report on his work. Before the start of the conference, the researcher told the organizers that he had participated in the first DNA modification of human embryos in history. Then he told AP that using the CRISPR/Cas9 system he had modified the genomes of the embryos of seven couples during reproductive care. Two twins with modified DNA are born of a healthy mother and a father infected with HIV. He Jiankui explained that he had deleted the CCR5 gene in both children, immunizing them for life against HIV. Prospective parents were aware of this work and had agreed to participate in the experiment, said the geneticist, who refused to divulge their names for ethical reasons. “The lecturer He Jiankui on February 2, 2018 had already left his position temporarily, while keeping his salary until January 2021. The university was not aware of his experiences outside the institution and considers this work as a gross violation of ethical principles and scientific practice. On the evening of November 26, the National Commission on Birth and Child Health (China) declared that it considered He Jiankui’s actions illegal and opened an investigation. states the document published on the website of the institution. Around the world, He Jiankui’s confreres have particularly criticized the statement of the geneticist. “It’s not because we can do something that we have to do it. CRISPR technology has immense potential, but China’s CRISPR children are undermining trust in science and human life,” Maryam Khosravi of University College London wrote on Twitter. The Australian biophysicist Antoine van Oijen noted that it was a “sad day for science” because the work of He Jiankui violated international moratorium on such experiments. More than 100 Chinese researchers have written an open letter to their government to demand legislative restrictions on work on the human genome. This letter was published in the evening of November 26th by Chinese intellectual site via the Weibo microblogging site. According to the researchers, the use of CRISPR methods on humans carries immense risks, its use is not innovative and no one has yet dared to organize such experiments because of their unpredictable consequences. The reaction of the scientific world was highly anticipated, says Mikhail Skoblov, head of the functional analysis laboratory at the Centre for Medical Genetic Research. “Today, science itself is setting the bar very high. If it had happened 50 or even 20 years ago, everyone would have said, “Is it possible? Awesome!” And would have started to apply it. But since we have accumulated many mistakes, this is why this announcement has aroused fear and condemnation. Before launching a drug or technology on the market, creators spend years or decades on verifications. Which was not the case here. There were no verifications on model subjects. One also wonders how many experiences were actually realized by He Jiankui before announcing his success. One thing is certain: several years must elapse between the point where we find ourselves today and when the moment. This case has undergone a new evolution on Wednesday, November 28, when He Jiankui presented his report to the International Summit on Genomic Publishing, where he said that a third child with modified DNA would see the light of day soon. He also explained the details of his experience. In the hour after He Jiankui’s performance, the slides of his presentation flooded the internet, and the statement of his speech was published on social networks. After reading the report, most experts said that the Chinese scientist had used CRISPR/Cas9 technology without thinking and without predicting the possible side effects of genome editing. The geneticist Gaetan Burgio, of the Australian National University, wrote on Twitter that the main problem threatening children with modified DNA was the probability of deletion (chromosomal restructuring characterized by the loss of genetic material on a chromosome) and mosaicism (the presence in the tissues of genetically different cells). This is why it is difficult to predict the result of using this technology. This is not the first time that Chinese researchers have been at the centre of a scandal linked to the use of genetic publishing technologies on men. Thus, last January, The Wall Street Journal, referring to its sources, reported that the CRISPR/Cas9 technology was tested in China on patients with cancer and HIV “at least since 2015”. Fifteen people died as part of experimental care involving DNA editing of patients’ immune cells. Chinese scientists then claimed that the death was caused by the chronic diseases of the research participants, and not by the method of care used. According to the WSJ, such experiments are possible in China because it is relatively easy to obtain authorization for genome editing related experiments in this country. Researchers from the Hangzhou Oncology Hospital using the genome editing method on human DNA have obtained this document in less than a day. By way of comparison, American scientists at the University of Health and Science in Oregon waited two years to receive such authorization to modify the DNA of embryos. In 2017, they were the first to modify the genome of human embryos, without placing them in the uterus for the development of pregnancy. However, it is a safe bet that Chinese legislation on human DNA experiments will be hardened soon. On the evening of November 29, the CCTV channel, referring to Chinese Vice Minister of Science and Technology Xu Nanping, announced that the ministry had ordered to suspend all research related to the editing of embryo DNA. And to emphasize that this decision was taken following the statements of He Jiankui on the birth of the first genetically modified children in history. The case of He Jiankui is very complex. But it could mark the starting point for further research for a safe method of editing and may lead to changes in legislation that the use of this technology could only be permitted for certain purposes. For He himself condemned in his video message the use of genome editing technology for purposes other than medical. But first we have to wait for the results of the survey. We would like to have evidence that these children came into the world and that they are in good health,” Mikhail Skoblov concluded.